It was a tour of the Makapan Valley, a World Heritage Site near Mokopane, that opened my eyes to the wonders of caves. Down in this dramatic valley, we were treated to a historic – actually a prehistoric – journey back to the days of our early ancestors. In the 1920s, prospectors extracted vast amounts of limestone from the extensive system of caves, at the same time unearthing vast numbers of fossils of both animals and extinct hominids – a collection of over 2.5 million specimens now recognised as one of the richest, most complete paleontological records of human evolution in the entire world. Our tour took us through the three caves that are open to the public: the Limeworks Cave with its old mining works and excavations, the Cave of Hearths, so named because it revealed the earliest controlled use of fire in Africa and the Historic Cave, known for the siege of Chief Mugombane and his Ndebele tribe in 1854, during which the Boer commandant-general Piet Potgieter (for whom Potgietersrus, now called Mokopane, was named), was shot. It was expertly guided and enthralling. I was hooked. 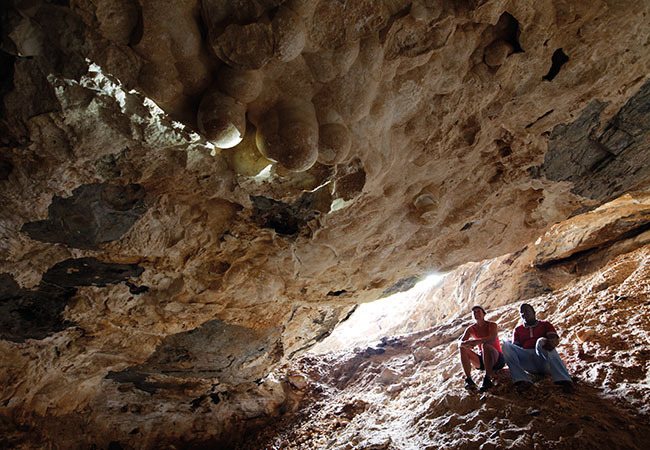 Next stop was Echo Caves, a national monument near the Strijdom Tunnel, a three-hour drive from Makapansgat. The presence of Stone Age artefacts makes these of archaeological interest, but the main attraction is the limestone structures. When tapped, the major stalactite from which the caves take their name emits sound that carries to outside the cave. There are two non-strenuous guided tours – of 30 and 45 minutes each – on well constructed walkways: take the longer one – if you’re up to it – to really appreciate the magnificent formations and chambers. And if you fancy yourself a bit of a Pavarotti, ask one of the guides if you can hang back a bit, then break into song. The acoustics in the cave are quite extraordinary. 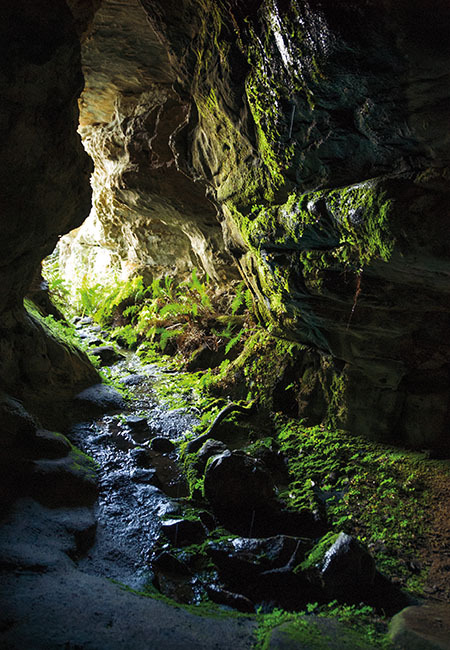 Heading south into Mpumalanga, you will find one of the oldest known cave systems in the world, Sudwala Caves, in the great dolomite massif of Mankelexele. 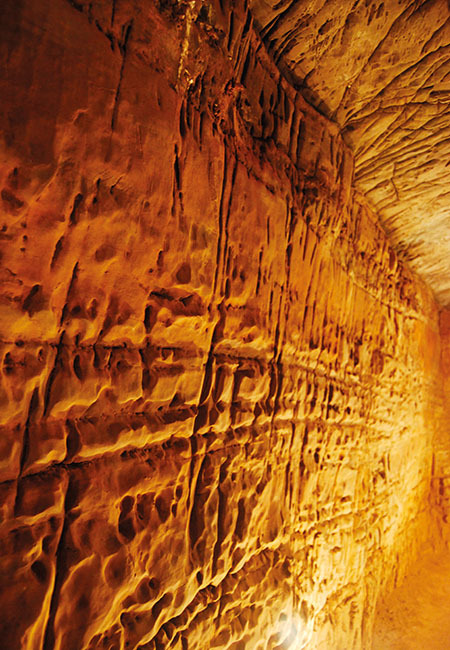 Regular guided tours showcase the spectacular flow structures, fossilised ammonites and colourful underground vistas found in the vast chambers. These caves also have a long history of habitation and were used by the Boers to store ammunition for the Long Tom guns during the Second Boer War. You can up the ante a bit by signing up for a Crystal Tour, which is run on the first Saturday of each month (or on special request for groups of five or more). 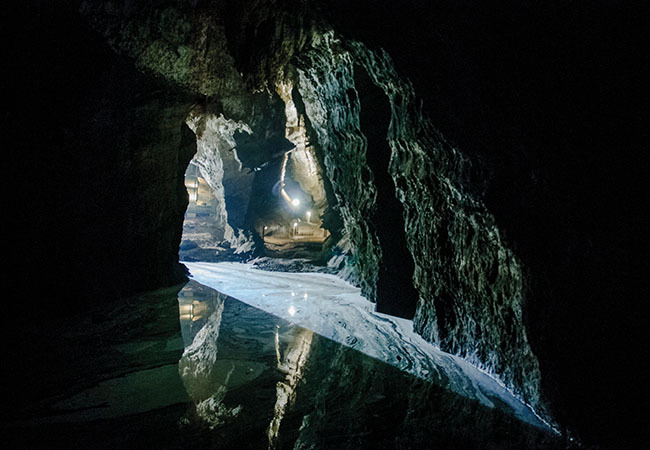 The moderately strenuous five-hour adventure involves bum-sliding and wriggling through narrow passages as you venture deep down into the muddy bowels of the mountain in search of the magnificent crystals most visitors never lay eyes on. 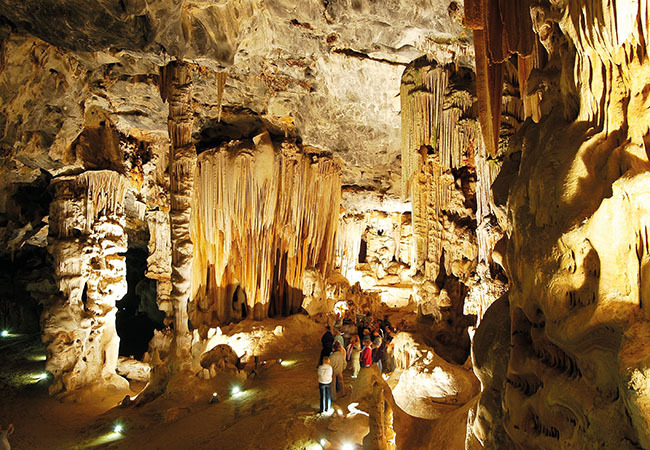 If the Crystal Tour rocks your boat, then detour to Swaziland’s Gobholo Caves, near Mbabane, the capital city. A typical tour will have you climbing, crawling and wriggling for a couple of hours as you explore the maze of passages in one of the world’s largest granite cave systems. The half-day escapade involves four kilometres or so of walking and 800m of caving, so reasonable fitness and mobility are required, but the tour can be varied to suit the ability of the group. 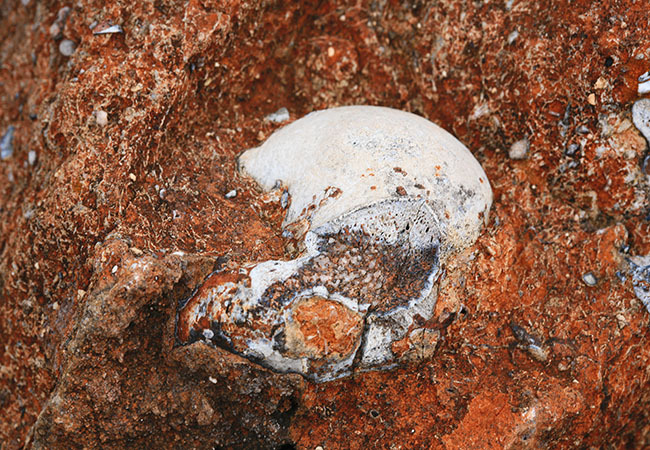 Vying with the Cango Caves to be the most famous caves in South Africa, the Sterkfontein cave system, one of the core sites of Gauteng’s Cradle of Humankind World Heritage Site, has revealed animal and hominid fossils that date back more than four million years. So, if you have any interest in archaeology or paleontology, this is a must-do. The tour starts with a visit to the excellent museum, then you follow your guide deep underground and past the spot where the famous ‘Little Foot’, an almost complete Australopithecus (early hominid) skeleton – estimated at 3.67 million years old – was unearthed. As with Makapansgat, this is fascinating from both a palaeoanthropological and geological perspective, but at Sterkfontein, they have fine-tuned the whole tourism experience: it’s slick, fun and best of all, since it’s on the outskirts of Joburg, really accessible. Buy a combo ticket and visit nearby Maropeng as well. In addition to the fascinating exhibits on display at the Original Fossil Area, the underground self-guided tour is a sensory journey from the very beginning of the world through to the present day and beyond, told through wonderfully interactive displays and via a boat journey back through the epochs. If you’re up for a challenge, Wild Cave Adventures will kit you up with overalls, helmets and torches and take you on a voyage of one of the more infrequently visited caves in the area. After abseiling in through the roof of a massive cavern, you then clamber and crawl through a series of tunnels before finally emerging back into the sunlight. It should probably go without saying, but those with fears of the dark or small spaces need not apply. It’s a long drive from Joburg to the world-renowned Cango Caves, in the lee of the Swartberg Mountains, but it’s well worth it. 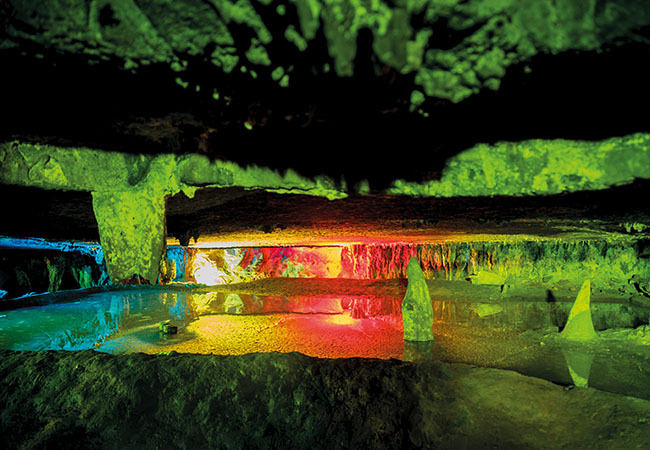 In terms of grandeur, Cango is the crème de la crème of the country’s underground spectacles. The limestone rock system has been eroded to form vast caverns adorned with magnificent stalagmites, stalactites, columns and flow curtains – massive natural sculptures that simply cannot fail to impress. The hourly 90-minute adventure tours offer deeper insight. After passing through the first two chambers of the primary caves, you branch off on to a kilometre-long circuit of narrower tunnels, squeeze-throughs and iron ladders that includes leopard crawling your way through the Tunnel of Love and negotiating the aptly named Devil’s Chimney, Coffin and Letterbox. A word of warning: some of these passages are narrow, so those of ample girth will struggle. 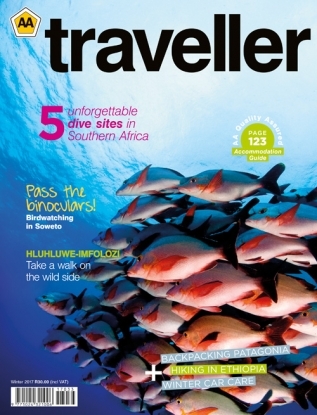 This is a tour that is best suited to reasonably fit, agile and slender sorts! The Cango Caves experience is hard to beat, so, in many ways, it’s the perfect finale to a caving tour. But if the bug has bitten and you are continuing on south, we’d suggest a final subterranean adventure in the mountains of the Cape Peninsula. There are several easy caves that can be safely explored by anyone with a head torch and a bit of common sense. 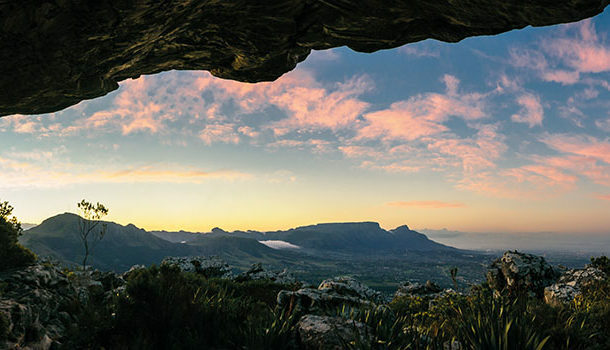 Muizenberg Cave is short and sweet, while Boomslang Cave, above Kalk Bay, is a fun adventure involving scrambling through narrow passages all the way through the mountain. Spelunking good fun!